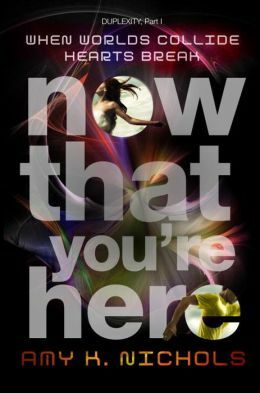 This week's Book Giveaway is a copy of Amy K. Nichols's debut novel Now That You're Here, despite the fact that it involves parallel universes and will almost certainly lead to a lot of grousing from Nathan about iffy science. (To which I say: at least it's not time travel.) The book won't be released until next week, so the winning copy won't be shipped out until Tuesday.